Can they score a love match the second time around? Almost twenty years ago, Belinda Morrison’s teenage dreams of playing top level cricket were shattered after a night of fun went wrong. While she lay in a hospital bed, the ute’s driver, her boyfriend Marc, left town. Now Marc Orsini’s a cop, and he’s been sent back to Hope Creek as a temporary posting. The sparks are still there, stronger than ever, and after a shaky start, their relationship ignites again. With many ties to the community, the town is Bel’s life, but Marc has responsibilities elsewhere. She can’t risk a short-term romance, but how can she let him walk out of her life for a second time? 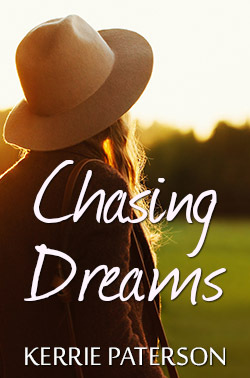 Chasing Dreams follows on from Letting Go but can also be read as a stand-alone.